The UK's local TV network celebrates the first anniversary of the first of the fledgling network of local TV stations to go on air on Wednesday. 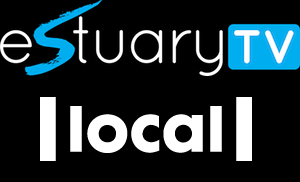 Estuary TV, the local TV channel serving Northern Lincolnshire and East Yorkshire, born out of a local cable TV station, was first to launch a local TV service on Freeview channel 8 on 26th November 2013. The local TV service on Freeview is provided through multiplex operator Comux, which has been building out its network of transmitters across the UK, enabling local TV channels to launch alongside two semi-national commercial channels on Freeview. 370,000 households can access the Comux signal serving Northern Lincolnshire and East Yorkshire. In line with its local TV licence requirements, Estuary has marked its first year on air by extending its local news output. All local TV channels have committed to increase their local output with every year on-air, although London Live has had some of its local commitments originally pledged for the coming three years cutback, following high-profile difficulties following its launch earlier this year. The Government's drive to introduce local TV across the UK aims to provide a more stable set-up compared to earlier low-powered analogue and cable stations. But Ofcom has admitted that not all services licensed may actually launch. Back in North Lincolnshire, Estuary's first year on air is marked by increased national interest in its Grimsby home, thanks to Channel 4's Skint documentary, featuring the lives of local residents. Amidst concerns from residents that the documentary is painting a poor view of Grimsby, the local TV service has been able to provide a platform for the community to comment, arguably one of the strengths of the local TV set-up. Since Estuary's launch, local TV has launched on Freeview in Norwich, London, Nottingham, Glasgow, Brighton and Hove, Sheffield, Belfast, Bristol, Cardiff, Leeds and the Tyne and Wear area. Services covering the Solent, Liverpool, Edinburgh, Manchester, Oxford, Preston and Birmingham will conclude the roll-out of the first phase of local TV stations. The roll-out has not been completely straightforward: Birmingham's local TV service has been given until the end of February to launch following the original licence holder going into administration. A second phase of local TV station launches will commence in 2015/16, with further stations planned for places including Basingstoke, Cambridge, Mold, Reading, Scarborough and Swansea. Further local TV licences covering locations in Scotland, Cumbria and the Potteries are expected to be awarded by Ofcom shortly.